In 1919, when Wesley Williams became a New York City firefighter, he stepped into a world that was 100% white and predominantly Irish. As far as most New Yorkers knew, black men in the FDNY tended horses. Nearly a century later, many things in the FDNY had changed—but not the scarcity of blacks on the job. 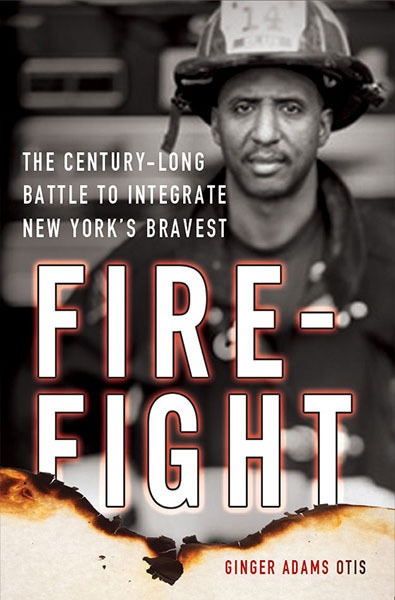 New York had about 300 black firefighters—roughly 3 percent of its 11,000 smoke eaters — in a city of two million African Americans. That made the FDNY a true aberration compared to all the other uniformed departments, like the NYPD. Decades earlier, women and blacks had each sued over the Fire Department’s hiring practices and won. But the FDNY never took permanent steps to eradicate the inequities, which led to a courtroom show-down between New York City’s billionaire Mayor, Mike Bloomberg, and a determined group of black activist firefighters. It was not until 2014 that the city settled the $98 million lawsuit. At the center of this book are stories of courage—about firefighters risking their lives in the line of duty but also risking their livelihood by battling an unjust system. Among them: FDNY Captain Paul Washington, a second-generation black firefighter, who spent his multi-decade career fighting to get blacks on the job. He faced an insular, close-knit culture that favored families and friends and never saw its own inclusion as privilege. Based on years of on the ground reporting, Firefight is an exciting blend of high-octane firefighting, critical Civil Rights history and a grassroots struggle for opportunity.